Repositioning cruises, or transoceanic cruises, are a unique and increasingly popular type of voyage that originated with large cruise lines. As ships moved from one area of the world to another to serve different and seasonal itineraries, they began to accept passengers looking to take advantage of the unique destinations along the way. For example, a ship that sails in South America during the southern hemisphere’s summer and then Europe during the northern hemisphere’s summer needs to reposition itself in spring and fall. 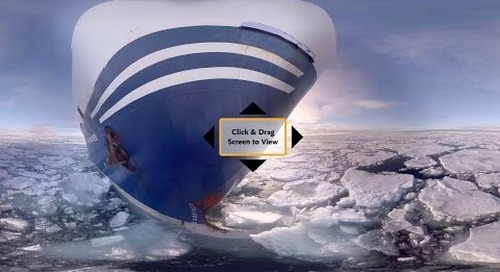 This allows it to offer cruises at peak traveling times (summer) at opposite parts of the world. Adventurous travelers enjoyed the unpredictability of the format, coupled with an abundance of relaxing days at sea and a lower price point. 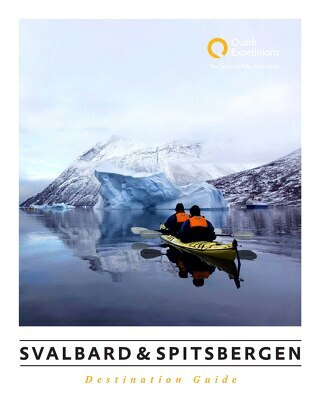 One truly unique voyage is Quark Expeditions' upcoming repositioning expedition of its Ocean Adventurer, from Aberdeen to Spitsbergen. 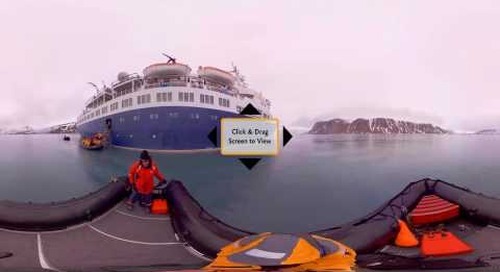 After a season in Antarctica, the Ocean Adventurer is headed north to meet passengers eager to explore the Arctic. Fresh from a multi-million dollar renovation and outfitted for Zodiac cruising, snowshoeing and optional kayaking adventures, the ice-strengthened Ocean Adventurer is a surprisingly comfortable home base for your Arctic repositioning expedition. As a small expedition ship of just 132 passengers, it offers a more adventurous, less crowded and more authentic exploration experience than traditional repositioning cruises, as well. Sailing through Fair Isle, The Faroe Islands, Jan Mayen and Spitsbergen makes this a repositioning cruise built for birders, photographers and adventurers alike. 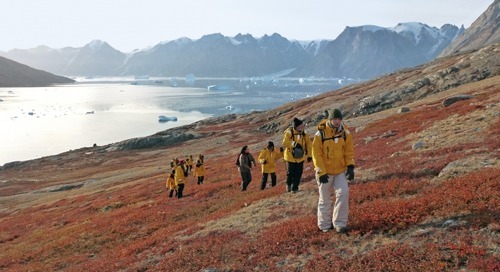 If you’re craving a unique holiday—one as enriching as it is exciting—check out nine of the exceptional experiences you could have en route from Aberdeen to Spitsbergen. Dunottar Castle, Stonehaven: one of the stunning historic sites you’ll see in Aberdeen, the gateway to the North Sea. Wander the bustling streets of Scotland’s third-largest city and gateway to the North Sea, the cultural hub of Aberdeen. Here in Granite City, Victorian homes and buildings crafted of locally quarried granite sparkle in the sunlight, thanks to its high mica content. The surrounding coastal waters are home to bottlenose and white-beaked dolphins, porpoise and minke whales. Plan to arrive a few days ahead of departure to explore the city’s museums, galleries, shops and fantastically rugged scenery. Atlantic puffins cling to the colorful cliffside in Fair Isle. Halfway between the Shetland and Orkney Islands lies Fair Isle, the U.K.’s most remote inhabited island. Pullovers, hats and mittens are knit in the brightly patterned style born in this region. Stunning landscapes dominated by rolling hills, seaside cliffs and wind-blown rock make an exceptional backdrop for photographing the island’s rare birds and plentiful historic sites. We visit Fair Isle just as spring is turning to summer, when plentiful Atlantic puffins flock to the island’s coastal cliffs to nest. 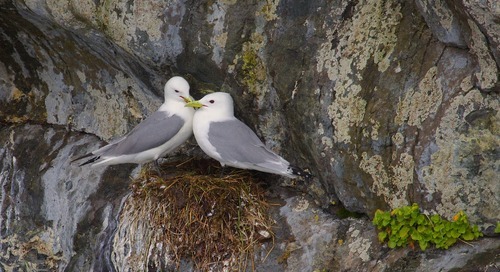 Keep your camera handy—you might also spot northern fulmars, kittiwakes, storm petrels, razorbills or guillemot soaring over the open water just offshore. For a truly incredible view, climb 85 feet of stairs and ladders to the top of the south lighthouse, the tallest in the Shetlands and Britain’s last to be manned. You’ll visit Tórshavn and explore the countryside of the Faroe Islands on your repositioning cruise from Scotland to Svalbard. Setting foot on the Faroe Islands, you’ll gain an inherent understanding of what drew Irish monks here in the seventh century, as they sought solitude and an escape from hectic ‘modern’ life. Their seclusion was short-lived; Norse farmers arrived in 800 AD and began a colonization that persisted through the Viking Age. Today, you can visit Tórshavn, one of the world’s smallest capitals, in this tiny, remote self-governing country of the Kingdom of Denmark. Traditional homes crafted of wood, with sod roofs and white-paned windows, line the streets in the old town. You might pay homage to the island’s extensive Viking history at the National Museum of the Faroe Islands and botanical gardens, hike to the historic fort over the port, browse local artworks at the art museum, or simply walk the quaint harbor and take it all in. Mysterious, uninhabited Jan Mayen rises out of the deep, frigid blue of the Norwegian Sea. Sailing the Norwegian Sea from the Faroe Islands to the mysterious and remote Jan Mayen, head up to the bridge or out on deck to watch for several species of whales. Humpbacks, blue whales and fin whales are known to frequent these waters. Curious minkes and orcas have been known to swim close to the ship, as interested in us as we are in them. The tiny island and nature reserve of Jan Mayen, breeding grounds for a great variety of seabirds, is one of the world’s more remote birding destinations. East of Greenland and north of Iceland, deep in the North Atlantic Ocean at 71°N/8°W, the rarely visited Norwegian island and nature reserve of Jan Mayen beckons. The only human inhabitants here are the few Norwegian military and Norwegian Meteorological Institute personnel who rotate in shifts. A large number of seabirds breed on Jan Mayen, from northern fulmars and little auks to glaucous gulls, kittiwakes, and black and Brünnich’s guillemots. You’ll have another chance to photograph Atlantic puffins and might even spot orcas, minkes, fin whales or humpbacks offshore. 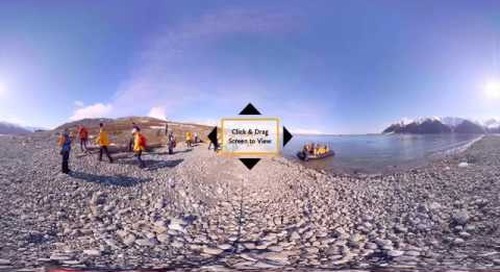 Visit Jan Mayen and view Beerenberg, the most northerly volcano on the planet. Shaped like a narrow spoon, this small island has a 2.5 km wide strip of land that connects the smaller “spoon handle” Sør-Jan with Nord-Jan in the northeast. That larger “spoon” portion of the island is where the cylindrical, glacier-covered Beerenberg volcano summits at 2,277 meters (7,470 feet). If the often-present fog and weather conditions cooperate, you may even get a close-up view of the volcano, glaciers spilling down its side into the sea. When conditions allow, we visit the meteorological station at Olonkinbyen, where you can learn about weather monitoring and polar research at the top of the world. Another potential landing site is Kvalrossbukta, a stunning black sand beach that’s home to both the remnants of an historic 17th-century Dutch whaling station and a lively fulmar colony. Quark passengers zodiac cruising in Spitsbergen. Photo: Acacia Johnson. Spitsbergen, the largest island in Norway’s Svalbard archipelago, is perhaps best known as the Wildlife Capital of the Arctic. 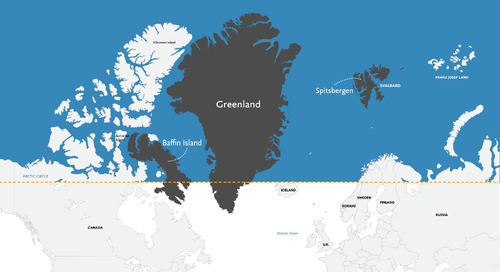 Nearly 60% glaciated, Svalbard is dominated by ice, yet with just 8-12 inches of precipitation each year, it’s a fascinating example of a polar desert, as well. Your time in Spitsbergen might have you Zodiac cruising along the face of the Samarin or Lilliehöök glaciers. 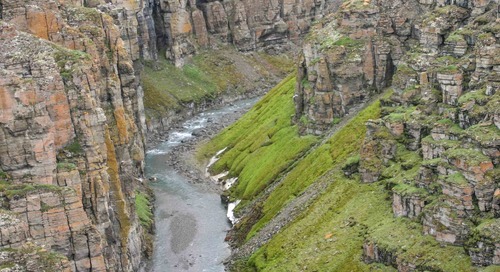 Possible landings include Hornsund, the island’s most southerly fjord near historic Bellsund, where you can explore the colorful tundra on foot. 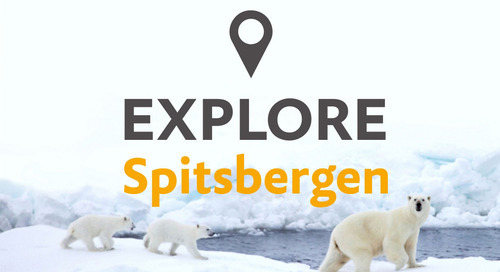 As you take in the spectacular Spitsbergen landscapes, you’ll quickly see how Spitsbergen earned its reputation as the best place on earth to see a variety of Arctic wildlife in their natural environment. Among the steep fjords and narrow, winding channels of the island’s southwest, you might spot whales, reindeer, seals and seabirds. As we traverse the southern tip of the island en route to a former science station, we may stop to hike a glacier. 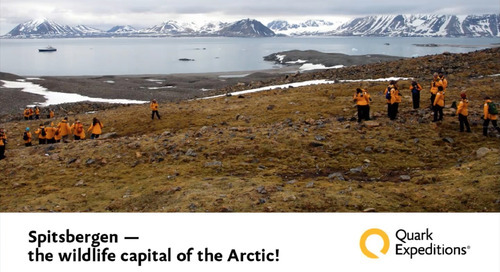 At Isbjornhamna, keep an eye out for colonies of little auks, or a traveling herd of Svalbard reindeer. 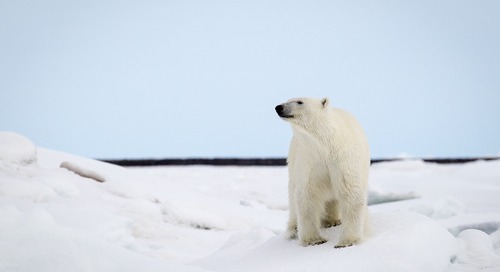 In fact, on the island of Spitsbergen, you should be prepared at all times for the unexpected; for those rare, brag-worthy wildlife experiences the greatest travel stories are made of. 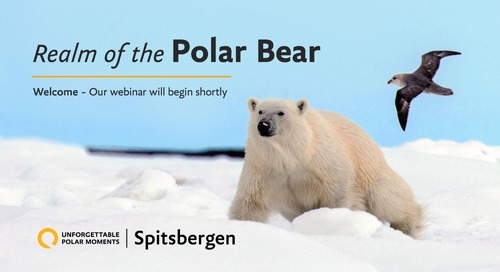 Fair Isle, Faroe Islands and Jan Mayen may deliver on the “birds” element of your expedition, but in Spitsbergen, you’ll find your greatest opportunities for spotting polar bear (and maybe even a cub or two!). 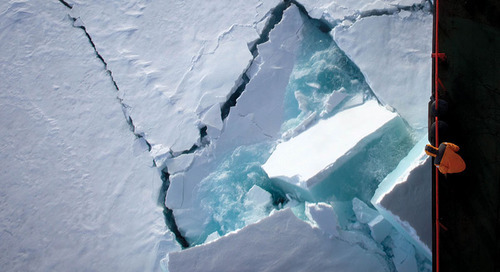 You’ll arrive early in the Arctic summer, when massive chunks of pack ice are still intact and provide fertile hunting ground for polar bears. Polar bears love hunting near the island’s most southerly fjord, Hornsund. 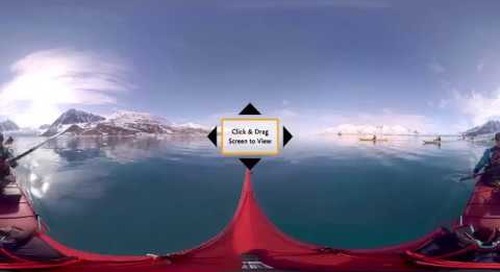 You might cruise deep into the fjord to Brepollen, also known as Glacier Bay, beneath the glaciers Mendeleevbreen, Svalisbreen, Hornbreen and Storbreen therein. 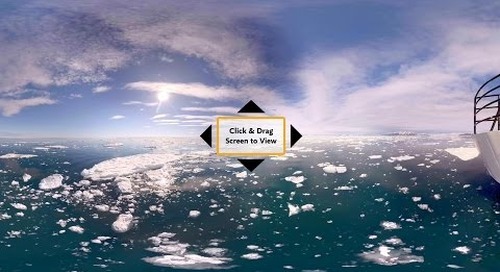 This was rich polar bear trapping territory until 1973, when the magnificent carnivore became protected. 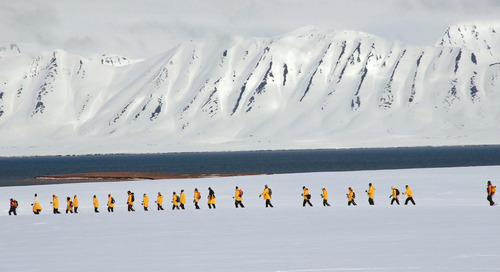 Having truly unique, exceptional adventures in some of the world’s most remote destinations, being completely open to the unexpected, is the true spirit of adventure travel. 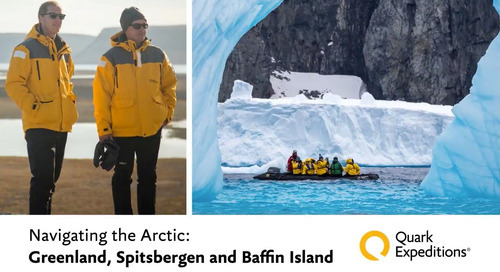 An Arctic repositioning expedition is a great way to dig deep and explore more, while still taking advantage of at-sea days to kick back and relax in comfort. Want to learn more about this voyage?